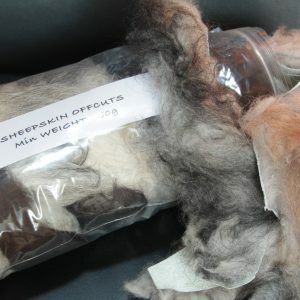 We supply carded fleece in 100g bags for felting and spinning projects. 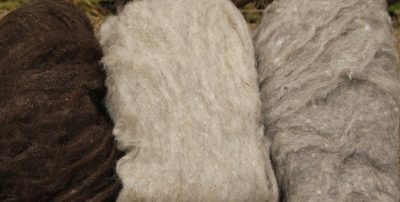 The carded fleece comes in four natural colours. 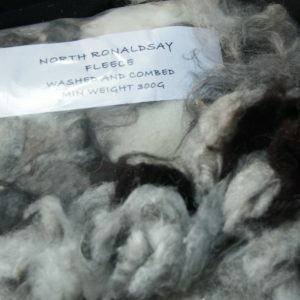 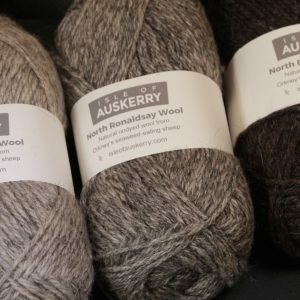 Our grey fleece is from grey fibres, not a mixture of black and white ones which makes it such a rich colour. 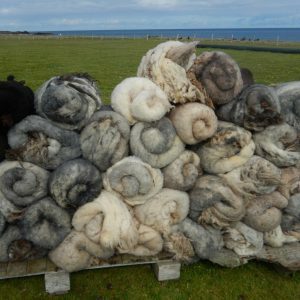 The shellsand is a mixture of natural white and tanny (caramel) with some grey as most fleeces have grey spine or saddle markings.